The WiFi232 is a traditional old-timey old-schooley Hayes-compatible 300-115200 baud modem, no wider than its own parallel DB25 port. Automatically responds with a customizable busy message when already in a call. The purpose of the device is to act as a bridge between your serial port and your local WiFi router. 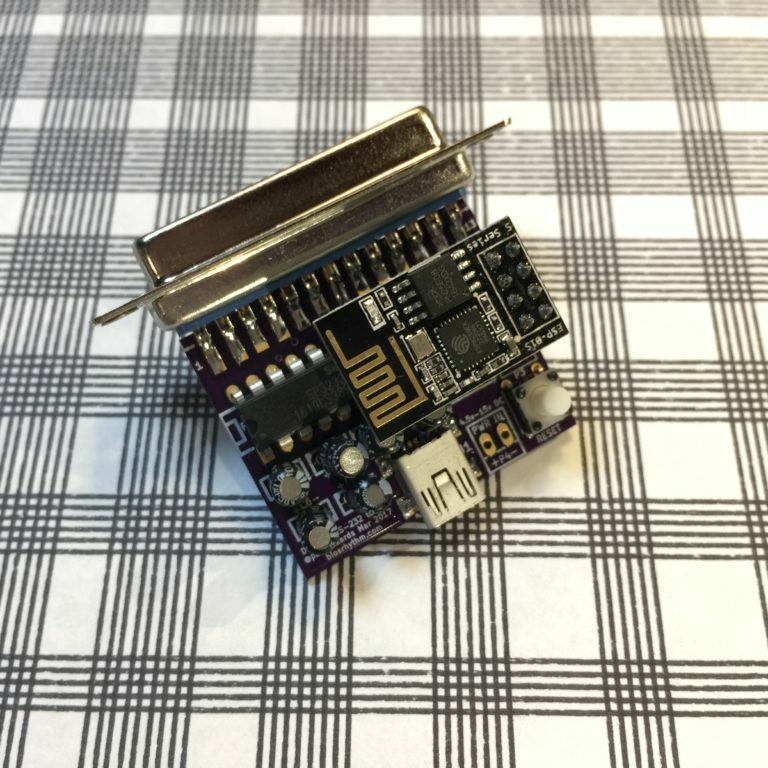 It has a 25-pin RS-232 data interface and a Mini-USB connector for power — it should work with any computer sporting a standard serial port. It's $33 as a pile o' parts or $49 assembled, but there's a waiting list.